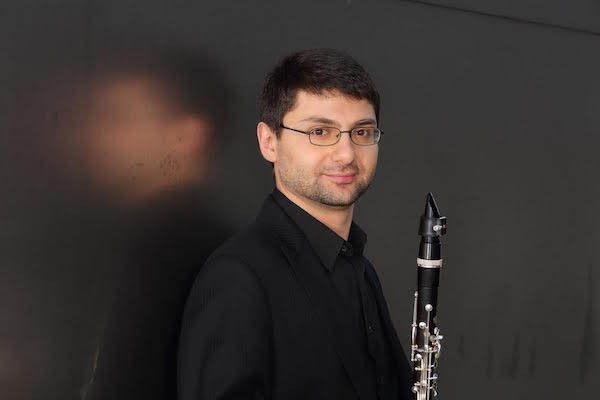 Clarksville, TN – On Sunday, September 23rd, 2018 Boris Allakhverdyan, principal clarinet in the Los Angeles Philharmonic, will visit Austin Peay State University for the APSU Department of Music’s annual Clarinet Day celebration. The day will consist of master classes, recitals, breakout sessions from regional clarinet professors and teachers, vendors with mouthpieces, reeds, music and instruments to try and a clarinet choir for all participants. Boris Allakhverdyan, principal clarinet in the Los Angeles Philharmonic, to visit Austin Peay State University. The day will conclude with a 7:30pm performance by Allakhverdyan and the Gateway Chamber Orchestra in the University’s Mabry Concert Hall. The cost to participate in Clarinet Day is $25.00, and the fee includes access to all events and a T-shirt. Admission to the Gateway Chamber Orchestra concert, featuring Allakhverdyan as soloist, is also included with the registration. Allakhverdyan is one of six musical artists-in-residence at Austin Peay this year through the APSU Center of Excellence for the Creative Arts’ (CECA) 2018 Acuff Chair of Excellence. Established in 1985 by the legendary “King of Country Music” Roy Acuff, the chair is an endowed professorship designed to bring regionally and nationally acclaimed artists together with students, faculty and community members in a creative environment. The chair, administered through CECA, rotates each year between different creative arts department at APSU, with the Department of Music hosting it this year. Allakhverdyan was appointed principal clarinet of the Los Angeles Philharmonic in 2016. He previously served as principal clarinet of the Metropolitan Opera Orchestra and the associate principal clarinet of the Kansas City Symphony. Allakhverdyan is a founding member of the Prima Trio, the Grand Prize and the Gold Medal winner of the prestigious 2007 Fischoff National Chamber Music Competition.